The motorcyclist travels in excess of posted speed limits or too fast for conditions. Speed is a common denominator in many auto accidents in general and speeding motorcyclists are at a greater risk of being involved in an accident and sustaining serious injuries. The motorcyclist acts recklessly. Motorcycles are extremely dangerous due to the limited protection operators and their riders have in the event of an accident. When a motorcyclist weaves in and out of traffic, performs stunts or approaches vehicles too closely, both the motorcyclist and rider’s lives are placed on the line. The motorcyclist is under the influence of drugs or alcohol. It is completely irresponsible to put another person’s life at risk by choosing to operate any vehicle while impaired, but drunk driving is still the unfortunate cause of nearly one third of all traffic related fatalities. The motorcyclist loses control of the bike. This can throw the operator and rider from the bike or result in a collision with another vehicle. The primary reason that injured passenger claims are difficult to deal with on an emotional level is that they involve someone that you trust and care about in many cases. Most passengers are apprehensive about bringing a lawsuit or even filing a claim with the operator’s insurance out of fear that it will have a negative impact on their relationship. Other complicating factors can include the following. The motorcyclist suffers fatal injuries. When this happens, the passenger may not know how to proceed when trying to recover compensation for his or her own injuries. It is still possible to do so, and an experienced attorney can help you work with the motorcyclist’s insurance and your own to recover the compensation you are entitled to. Look here for discussion of motorcycle accident wrongful death cases. The motorcyclist lacks adequate insurance. While it is against the law to operate any vehicle without sufficient insurance coverage, many motorists still do. If you were the passenger in an accident where the motorcyclist didn’t have coverage or his or her coverage is insufficient to cover your damages, it may be more difficult to recover compensation. This is another place where an experienced attorney can benefit you as he or she will be able to explore other avenues such as a claim with your own auto or health insurance. See our uninsured motorist faq’s here. 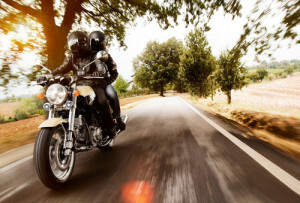 The passenger fears a claim will ruin his or her personal relationship with the motorcyclist. This fear is usually unfounded due to the fact that insurance companies normally provide financial compensation on behalf of their policyholders. You have the right to compensation and it is only fair that the person responsible for your injuries is held accountable— even if it is someone you know well. The motorcyclist is not at fault for the accident, but the responsible driver is uninsured or underinsured. When this is the case, it is still possible to recover compensation if the motorcyclist has coverage in the event of an accident with an uninsured motorist. You may also be able to recover compensation through your health insurance or auto policy. If you have been injured as a passenger in a motorcycle accident, it is understandable to have questions and concerns over your rights and legal options. The compensation you are entitled you may include the cost of your medical treatment, any lost wages or opportunities, ongoing rehabilitative therapy, pain and suffering and more. We are happy to answer any questions that you have so that you can review your legal options and make an informed decision on how to proceed with your claim.